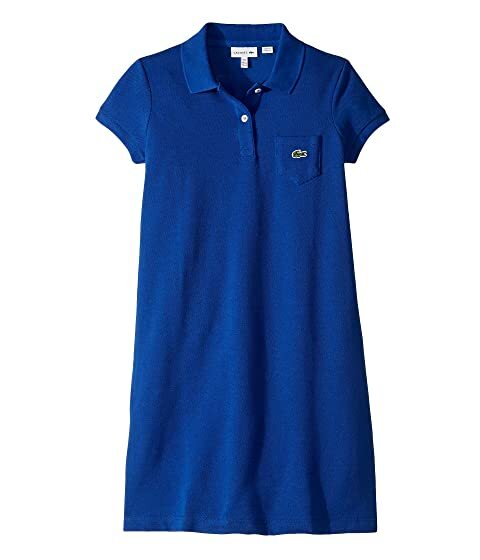 Nothing beats a classic, so grab this fabulous polo dress from Lacoste® and to show off her undeniable style. Polo collar with two-button placket. Signature Croc logo appliqué at left chest pocket.